This year’s awards will be presented on Wednesday 12th July at the industry’s most prestigious event, the BSIA’s Annual Luncheon, which is set to take place at the Grand Connaught Rooms, close to the heart of Covent Garden. The awards are presented during a distinguished ceremony in front of some of the industry’s most influential figures. Nominations can be made for apprentices from security companies – including non-BSIA member companies – certified for their activities by a UKAS accredited certification body. The scheme is designed particularly for third year apprentices or outstanding second year apprentices. 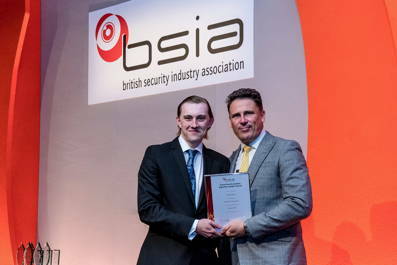 James Kelly, Chief Executive of the BSIA comments: “Apprentices are the lifeblood of our industry and are essential to the long-term future success of the UK’s security industry. The awards enable us to recognise the wealth of young talent that are starting a career in security and enable us to ensure that their hard work, commitment to customer service and technological expertise is suitably rewarded. “They also serve to represent the commitment of security companies and training bodies to providing new talent with the opportunity to succeed in the security industry” adds Kelly.